I went to visit Gaufree a few weeks ago for the first time and I was pleasantly surprised. 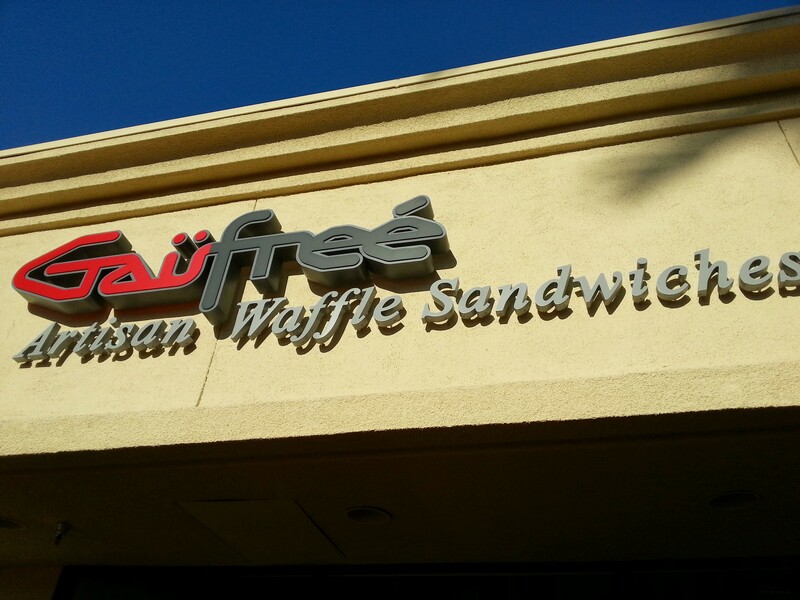 Gaufree is an Artisan Waffle Sandwich restaurant located in Irvine, California. The French word for waffle is Gaufre. 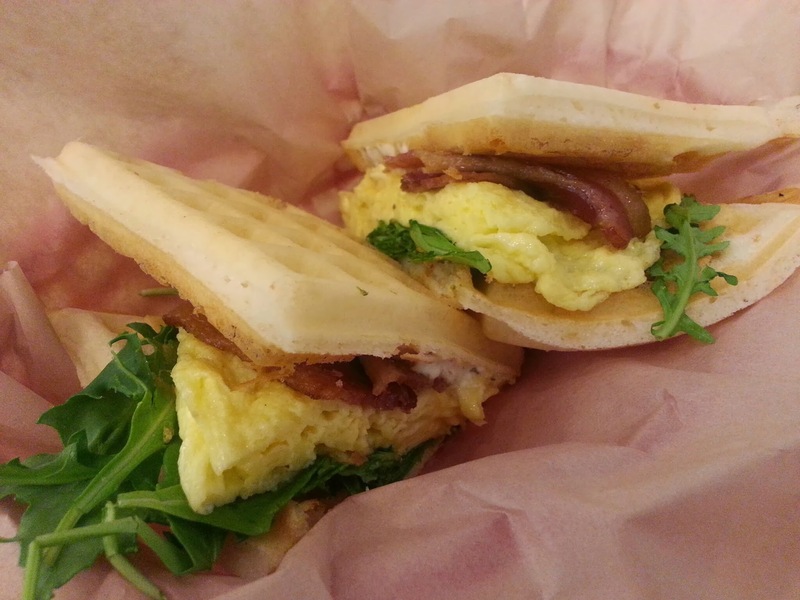 In the United States waffles are malt based, but Gaufree uses yeast based dough that blends perfectly to create their delicious waffles in which they then design both savory and sweet waffle sandwiches. Produce used in Gaufree sandwich is local, fresh and organic. 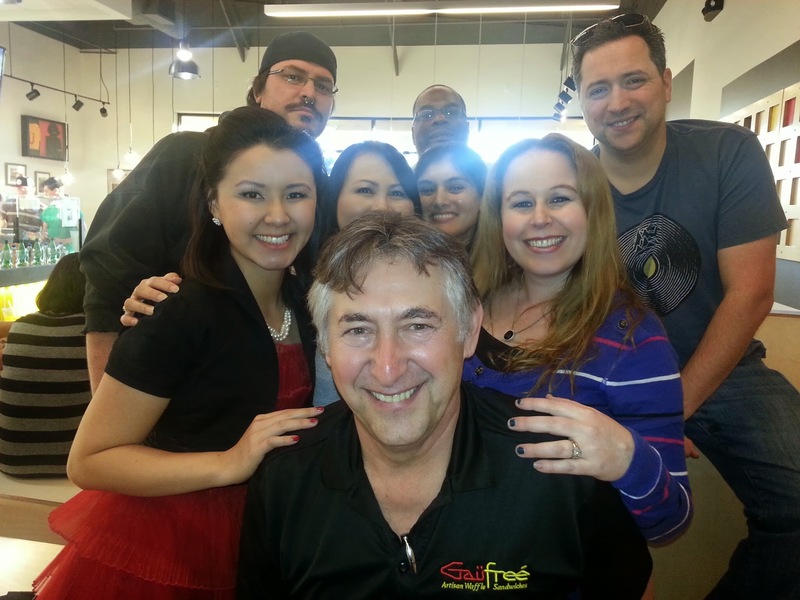 Gaufree meats are free range, grass fed, as well as hormone free. 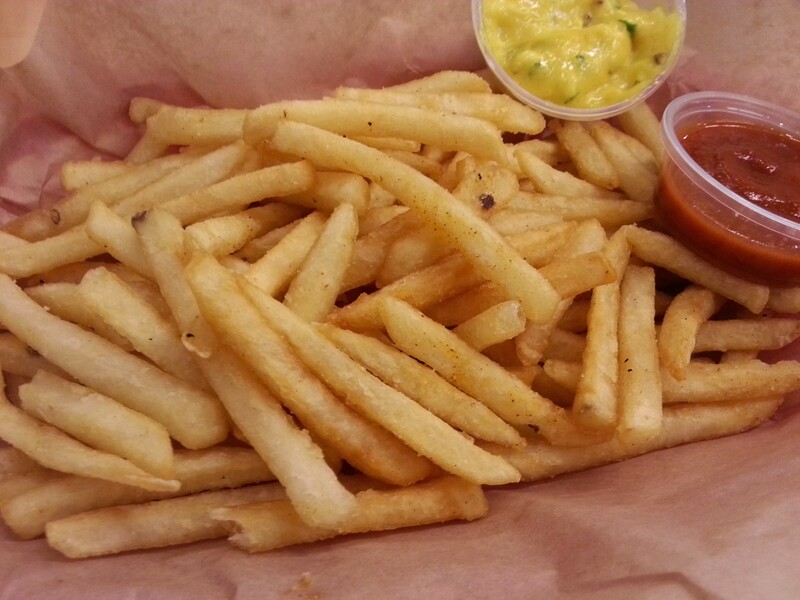 Dressings and condiments are all made from scratch. There are even gluten free options. Everything is delicious and made fresh to order! Gaufree is conveniently located close to my Alma Mater, Woodbridge High School and they even have a special for the high school students when they come in for lunch. Woodbridge High school students can always get a FREE beverage with any purchase of a sandwich or salad. There is also a five stars program offered in which you can follow Gaufree on their social media sites and enter their monthly drawing for a free sandwich by entering your email address! When I visited Gaufree, I was quite impressed. Savory items that I tried included the Organic egg and smoked applewood smoked bacon sandwich that included farm fresh scrambled eggs, bacon and garden herb pesto, the second sandwich was the Organic buttermilk fried chicken made with lightly breaded boneless, skinless, farm raised chicken breast with Myer’s rum, and chipotle molasses dip. I also tried the Kale salad made with cucumbers, Thai kaffir leaves, mint, Bermuda onions, garlic, red beets, roasted peanuts, chili oil, and Thai basil goat cheese with a kaffir lime dressing. Each of these items was made fresh to order and I thoroughly enjoyed the tasty blends of flavors. 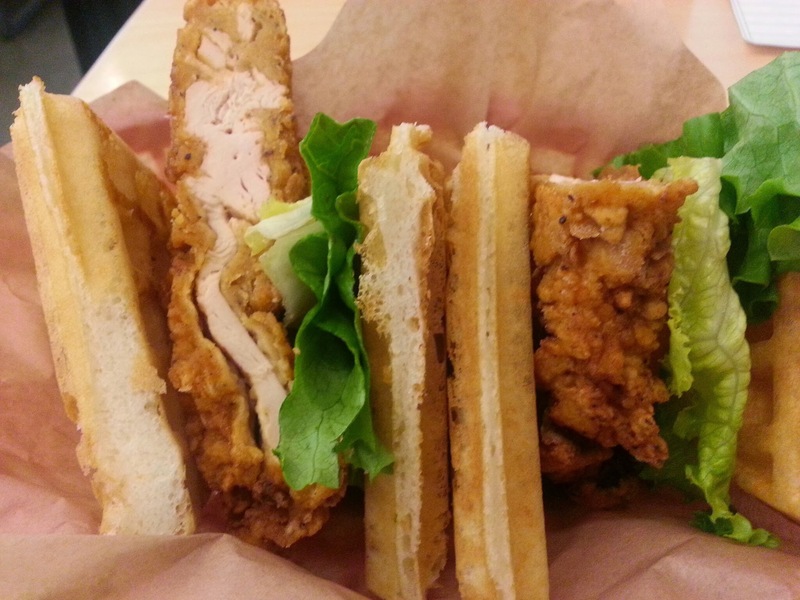 My favorite sandwich out of the ones I mention above was the chicken and waffle sandwich. It was very unique in flavor and I loved the rum and molasses blend of flavor. Next, I tried 2 of the sweet waffle sandwiches, which included the Brussels Street waffle made with raspberry coulis and the Peanut butter pie waffle with sea salt caramel, bananas, peanuts, and powdered sugar. Hands down the peanut butter waffle pie was my favorite! I was all over this delicious dessert and it was so large in size after my large meal I was excited to devour the second half of it later in the evening as part 2 of my dessert! There are a variety of other fabulous options on the menu and I look forward to going back to check out some new items as well…No matter what I order for savory, I will be back to get the Peanut butter pie again!! Yum! Have you ever been to Gaufree? Please share your experience with me below! I would love to know what your favorite item was. 🙂 If you have not yet been to Gaufree, you should visit soon when you are in the Irvine area. They also even have weekly specials offered; when I was there they had a Nutella sandwich for only $4.95! Oh. My. Gosh. 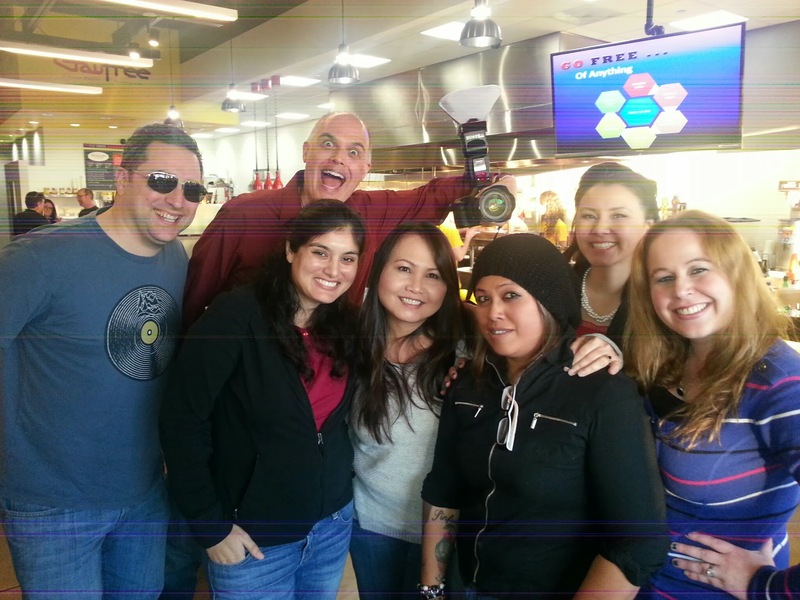 Your descriptions make my mouth water – wish we had this awesome restaurant in Alaska! I do wish I tried that Nutella Crunch sandwich as well..Oh well, there is always next time! Wow, I love restaurants that are unique. These guys are definitely a stop next time I eat out. Yum!!! This place looks and sounds delicious!!! Your pictures are fabulous too!! This made me hungry!! Great! My job is complete if I made you crave these yummies! 🙂 They are delish! 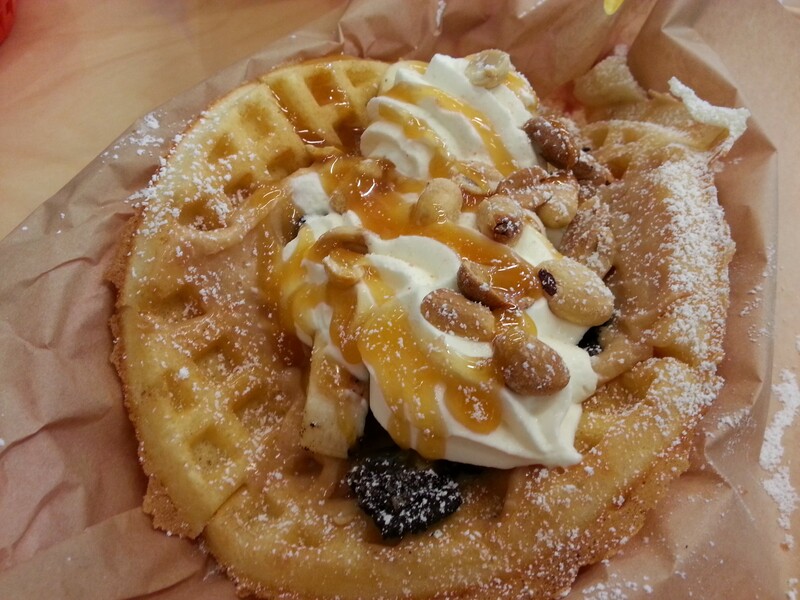 Waffles, sugar, Belgian Frites, Peanut Butter Pie, How yummy, I want some ! Come on down and check it out! YUM!! Peanut butter pie rocks!!! I have never heard of this concept and it looks amazing. It’s amazing all the fantastic food you get to try and share! Most definitely! Thanks for the comment! I love how those waffles are mixed in! howd i wish i could have same restaurant here. i could go everyday!